The world-renowned Miocene (~15 Million Year Old) Clarkia deposit in Northern Idaho has earned many “firsts”: The first (and then the oldest) plant fossil DNA sequence ever reported, the first test of cutting-edge biotechnology innovations such as PCR and HPLC on geological material…Scientists from a wide range of disciplines around the world have been attracted to this classic example of extraordinarily preserved fossil deposits (Fossil Lagerstätte) that offered the finest plant material for studies of ancient environment and climates. However, the mechanism for this exceptional preservation has been elusive. By quantifying a range of microbial lipids, known as glycerol dialkyl glycerol tetraethers, or GDGTs, a cooperative research group (Prof. LIU Weiguo team from Institute of Earth Environment, Chinese Academy of Sciences and Prof. YANG Hong’s team from Bryant University, USA) provides new insights into the mechanism of the preservation conditions of the Clarkia deposits and solved one of the long standing puzzles regarding the rare preservation of biomolecules in the world-renowned fossil deposits in Idaho. 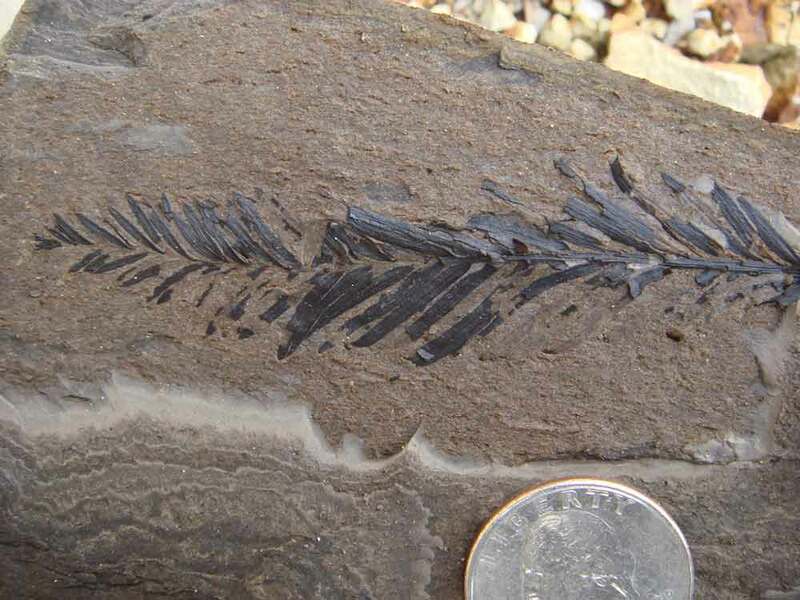 The research also demonstrated that some of the novel organic geochemical proxies commonly used in Holocene studies are applicable to immature Neogene sediments. The research team identified a previously unrecognized, geologically instantaneous drop by over 10 m in the Clarkia Lake water level under a stable climatic condition. 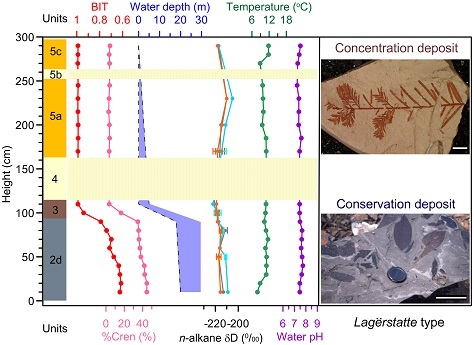 The abrupt shallowing event permanently destroyed lake water stratification, causing a mass mortality of fish which is recorded in a ~30 cm transitional layer, and switching the depositional conditions for Clarkia Fossil Lagerstätte from a conservation deposit to a concentration deposit. They proposed that the sudden and irreversible release of lake water was likely due to a physical geologic event that altered the configurations of the lake basin drainage, given the volcanic history of the region. “A sudden break in the original basalt lava dam downstream of the lake or a sudden damming and diversion of the main river drainages upstream would have caused the rapid fall of the lake water level, in a fashion that is similar to the formation of the Miocene Clarkia Lake, although the precise location that was responsible for the event is yet to be pinpointed” said Prof. Yang. The Clarkia Fossil Lagerstätte were formed during a time interval with high atmospheric CO2 concentration which was believed to be similar to the present CO2 concentration increase caused mainly by anthropogenic carbon release, thus offering the best analogy for the study of environmental change under the current global climate change. This work published in the current issue of the leading Earth Science journal Geology. This project was supported by the Chinese Academy of Sciences, the National Key Funds of China, the NASA EPSCoR-RID grant, Bryant Summer Research Stipends, and the Smiley Research Endowment.